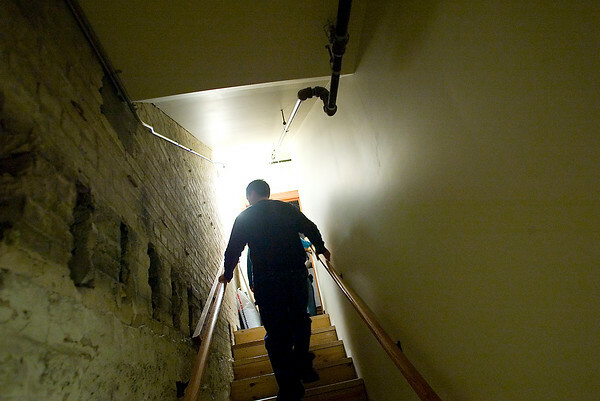 Darren Zywicki, of Traverse City, walks up stairs from the basement of the City Opera House while on a tour with members of the Michigan Area Paranormal Activity Investigation Team, or M.A.P.I.T., on Monday night. The team recorded evidence last October of voices and a strange shadow and returned this year along with guests who made a donation to the opera house. The teams use equipment such as night-vision cameras and infrared thermometers in their attempts to document paranormal activity.